Despite all of our advances in technology, dating hasn’t changed hardly at all in the 21st century. You meet people, talk to them, and maybe start dating if enough sparks fly. There are some dating apps out there that can help this process along. 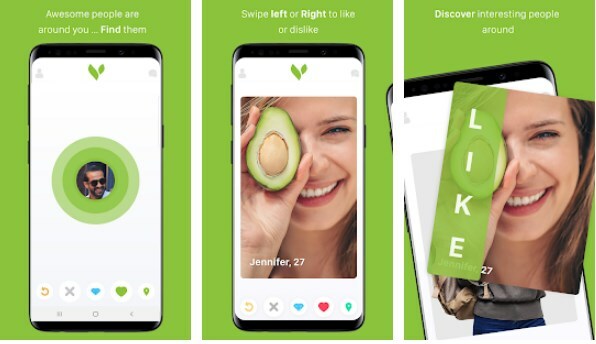 To help all vegan singles out there that look for their perfect match to date, we looked and we have to offer you an awesome dating chat app specially created for vegan singles around the world. Let’s see what the app is all about. What is V&U - Vegan Dating all about? V&U - Vegan Dating is developed for Android users as one amazingly easy to use and fun dating chat app that is specially designed for vegans around the world that look for a simple way to find their perfect match to date. In this awesome large community of vegans around the world, you have the chance to discover people, find your perfect match and chat. With its user-friendly interface, this app allows you to enjoy meeting and chatting with interesting vegans that suit your taste. In this community of vegan singles, you are offered features that will help you in the search for the perfect match for you to date, easily and quickly. To find the match for you, you can browse profiles of vegans and to swipe right or left if you like someone or dislike a single. When you like someone to use the swipe right feature and if you don’t like someone use the swipe left feature. When you and the person you like both swipe right, you will be matched. With your match, you can chat online and even meet in real life to experience something new. Instantly with this app, you can discover the perfect match for dating while having fun meeting new people. You can also find available the extra subscription for $26.99 USD/month, one month, or choose the 6-month and 12-month packages. Meet interesting vegan singles that suit your taste from all around the world and with a swipe get connected with ones you like. Download it on Google Play for free to discover vegan singles around you to get matched and date!